I am a curious guy. It’s in my blood. But then curiosity is one of those dopamine responses. Read my post on Little Addictions, and you’ll realize that we are addicted to everything. Literally EVERYTHING. The brain was designed to be curious; to love a ‘good’ plot and narrative, and to learn new things. As long as the story is unresolved, my brain keeps coming back for more. And yes, it’s true, curiosity killed the cat. This cautionary expression sounds like the moral of some fable or folktale, but any such origin for it was lost long ago. The first recorded use was in O. Henry’s Schools and Schools (1909). Curiosity, a dopamine response. This little idiom about the cat and curiosity reminds me that being inquisitive about other people’s affairs may get me into trouble. Something was wrong, and I wanted hard facts from people who knew. I ignored myself, my feelings, my gut. I didn’t listen, I didn’t trust myself. A voice, my own muted voice, was speaking to me. I was angry and I wasn’t listening. Yes something was wrong. I felt like crap, I was sick; I was dying. It was both an emotional illness and a physical one. Now I’m not going to try to give you religion, and I’m not trying to sell you something. There’s a great line from ‘The Princess Bride‘ where Westley tells the Princess Buttercup; “Life is pain, Highness. Anyone who says differently is selling something.” At a meeting tonight my friend Phil (Call me Refill) said you can’t avoid pain; Westley was right. Life is pain. But we CAN avoid SUFFERING. But I was suffering. I needed to change. I was physically, emotionally and spiritually sick. Neither you nor I need religion, but I needed something. What did I need? I needed spirit. There was a great gaping hole in my heart. Spirit is an interesting word. It has so many meanings. It means to carry (someone or something) away secretly, to spirit it away. 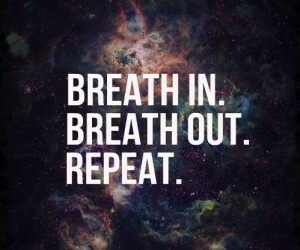 The word comes from Middle English, from Anglo-French and from further back Latin; Anglo-French, espirit, spirit, from Latin spiritus, literally, breath, from spirare to blow, breathe. I couldn’t breathe in and out. The buddhists use this thought as the center of the zen experience. 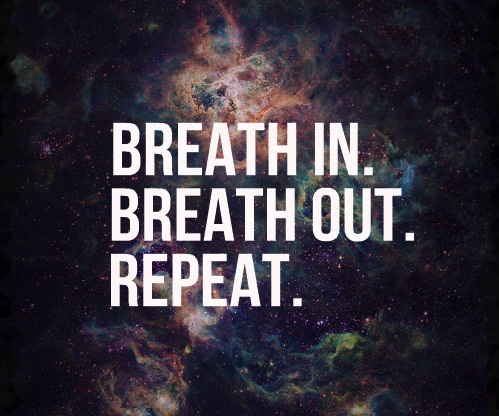 Breathe in, breathe out. Spirit can be other things as well. Spirit is the force within a person that is believed to give the body life, energy, and power. It can also be a malevolent being that enters and possesses a human being. Evil spirits! Indeed, evil spirits had taken me over. Alcohol. Odd how the word is used to describe that golden elixir, the liquid containing ethanol and water distilled from an alcoholic liquid or mash, usually used in plural; spirits. Whiskey, vodka, gin, rum; spirits. They had taken over. Jack Daniels had become my higher power, taking away all the pain and suffering, anesthetizing my brain. Spirits of a different kind. I am indeed an enigma. I worked in surgery as a young man going to college. I would watch people under the influence of anesthesia. Without the assistance of the machines and the anesthesiologist, they were dead. I told myself, I’d never let them do that to me. There are alternatives; mostly local anesthesia, I’d rather have spinal anesthesia than be put to sleep with sodium pentothal, what they called ‘truth serum’. No generals for me. But then later on, I began anesthetizing myself. Silly man. What I wouldn’t let the doctors do to me with drugs, I did on my own with alcohol. A black-out drinker. I was in pain. If you’ve read my blogs, you know I had my excuses. There was only one reason though. I’m an addict, a man with a curious brain that when it becomes too curious, I need to shut it off. Kill the spirit; shut it all down and shut it all out. Anesthesia. But why? Is life that hard? So hard I needed to be unconscious? Well, that was my excuse; life is hard, life is pain. But its no different than what anyone else experiences. Yet my mind craved that absence of emotional upheaval that booze brought. It was an unsolved mystery; a dopamine response. I pity the poor meth addict; supposedly the flood of dopamine induced by crystal meth is the most addicting experience there is. I wouldn’t know; Jack Daniels was sufficient for me. And in quantities that would kill someone who hadn’t worked up to it. You try it. Drink a liter of Jack; 34 ounces. In one day. One and a half ounces per hour over a 24 hour period. You will be fucked up I guarantee it. And remember, I did sleep a bunch of those hours. Even when I’d wake up in a cold sweat, I knew just what would quiet my spinning mind; those squirrels running loose in my head. More Jack. Yep, one sick puppy. Emotionally bankrupt and physically a hot mess. One night I escaped home and went to a meeting. An hour or two later I woke up behind the wheel of my truck and I didn’t know where I was or how I got there. I’d been there before, but I had to look around and shake my head. Where am I? How did I get here? Really? REALLY? Yep, time to raise my hand and check myself in. I didn’t need an intervention, I knew I was ready. I finally listened to that muted cry from myself. I knew I had better stop drinking and start breathing in and out or I would be dead. Worse, I thought, I would be driving blacked out and I’d crash and survive, but the little eight year old girl in the other car would not. It was time for me to breathe in and out. This entry was posted in Addiction, Alcoholism, Blog, Dopamine, Drunkalog, Life Is Short. Bookmark the permalink.